SheaMoisture, the most trusted hair care and beauty brand in the market, intends to continue wowing us with new, awe-inspiring looks. How will they do it? By strutting their stuff on the catwalk at Texture on the Runway 2017! At this year's Texture on the Runway, you'll experience how the brand continues to set trends and innovate while building up communities throughout the world. You will also see ravishing curls, kinks and coils cat-walking under flashing, dazzling lights! In addition to these couture looks, SheaMoisture wants to give you a front row view of its purpose-driven Community Commerce work, which creates economic opportunities for women entrepreneurs in its ecosystem, because empowering women is always en vogue. High Fashion and Women's Empowerment - There's More! To make your runway show experience even more powerful, SheaMoisture partnered with Liberty & Justice UNIFORM brand. Featuring clothing from Africa's leading Fair Trade-certified apparel manufacturing company, we'll watch an array of UNIFORM-clad curly beauties sashay up and down the runway with hair styled by the incomparable textured hair guru Diane C. Bailey and her team of stylists. Gerilyn Hayes: Seeing new looks presented by SheaMoisture is exciting to Texture on the Runway attendees! Please explain the SheaMoisture mission for success at this year's show. Nicola Chung: We're updating iconic styles that we've loved through the decades with edgy, hip elements that can be re-created at home with our SheaMoisture collections while showcasing a dynamic design partner that shares our Community Commerce mission of ethical manufacturing and women's empowerment. Our looks honor and celebrate powerhouse Black women who shaped the natural hair movement, changed the way the beauty industry looks at hair, encouraged and educated family and friends, as well as infused creativity, self-confidence, and heritage into their inspiring hairstyles. GH: Not only are the looks the focus for attendees; we are excited to meet and greet with you all. Who from your SheaMoisture team can attendees and NaturallyCurly Editors expect to rub elbows with at the show? NC: Our founder and CEO, Richelieu Dennis and chief community officer, Emmet Dennis, along with myself, members of our SheaMoisture innovation and marketing teams, and Chid Liberty, co-founder, and CEO of Liberty & Justice and the UNIFORM brand will be there and making the scene! GH: It's remarkable to see SheaMoisture's work with developing countries. In order to highlight this effort for our readers, would please explain the Community Commerce program? NC: We built Sundial and our SheaMoisture brand on the core belief that only commerce can bring true economic independence to our communities and empower women like our founder's grandmother to break the cycles of poverty. Our business model of Community Commerce is built to serve this mission. We directly reinvest in the communities we serve, creating economic opportunities for women and other minority entrepreneurs in our ecosystem. In West Africa, we have almost 7,000 women in our Shea butter women's cooperative supply chain and invest millions of dollars in building infrastructure, providing education and training. Almost 15,000 households have benefited from our Community Commerce efforts, including the 13 communities that now have piped water, which relieves the girls from having to spend their days gathering water and allows them to go to school – and we pay premium wages that allow the processors to be able to afford health insurance and deposit into their own community micro loan fund. Our goal is to go beyond helping to ensure that these women escape poverty and that their daughters can have access to education and jobs. We envision the next generation of women in our cooperatives leading the march into the middle class in their societies. We're now expanding into Jamaica and Southern Africa and, we expect to add another 4,000 to 5,000 women to our programs by 2020. In the U.S., we invest in entrepreneurial education and opportunities for minority women so they can develop business skills and tap into professional and academic networks for mentoring and counsel. We believe that when you get ahead, you are obligated to reach a hand back to help others following you. This is will be the legacy for our company, and it's what drives us forward each day. GH: As more companies navigate toward an ethical consumption strategy, it is clear that SheaMoisture leads this charge better than other entities. This charge will be apparent at this year's Texture on the Runway with the partnership between your company and Liberty & Justice, the Africa-based ethical apparel manufacturing company. With the plethora of manufacturers in various markets, will you please explain how the decision to form a relationship with Liberty & Justice came about? What set the company apart from the rest? NC: We're proudly partnering with Liberty & Justice and its UNIFORM brand for Texture on the Runway. Liberty & Justice is a leading Fair Trade-certified apparel manufacturing company in Africa co-founded by Chid Liberty and Adam Butlein. We're profoundly moved by the company's commitment to a future in which producers and consumers are completely aligned in making economic choices that result in the eradication of poverty, the responsible stewardship of the environment, and the empowerment of workers through the fair exchange of quality goods and services. 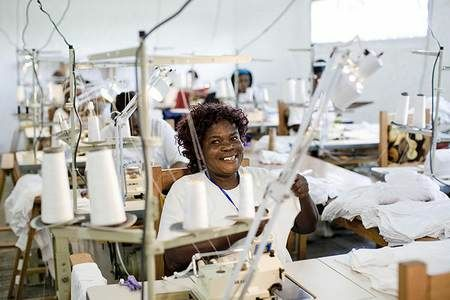 Its mission was established to transform the apparel supply chain from worker exploitation and environmental degradation to partnership and sustainability. 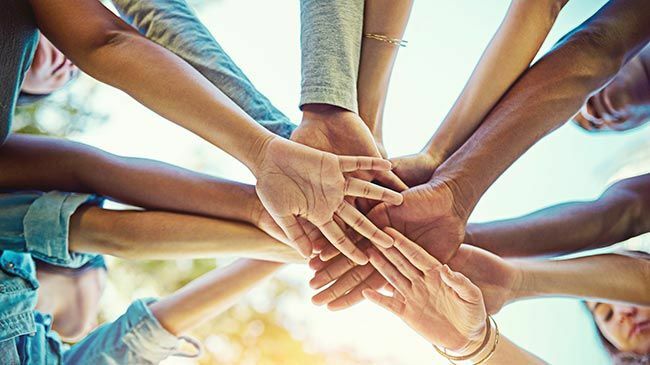 This is an organic relationship for us, as it mirrors our purpose-driven Community Commerce business model and mission. We applaud UNIFORM's for its support of children attending school by donating a school uniform to a child in need in Liberia with each purchase. Parent company Liberty & Justice supports The Liberian Women's Sewing Project, Africa's first Fair Trade Certified™ apparel factory. Founded in 2010, LWSP is a worker-owned corporation with 49% of the company's shares owned by its workforce. The majority (51%) share is owned by Liberty & Justice, USA; with the profits pledged to the Liberty & Justice Community Development Fund – a non-profit fund hosted at the Tides Foundation that supports programs in economic empowerment, education, and healthcare. Members of Made in Africa, a network of ethical factories clustered in Ghana, Liberia, and Benin participate in Liberty & Justice's trade financing program and become part of a formidable force to transform the global apparel supply chain from exploitation and environmental degradation to partnership and sustainability. What's not love to about this cool clothing brand?! 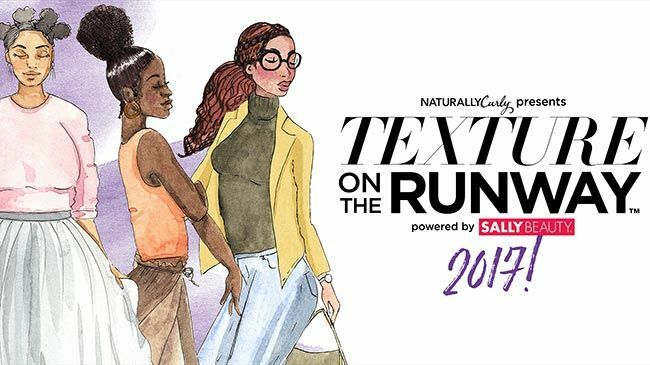 We can hardly wait to see the new looks presented by SheaMoisture at Texture on the Runway, meet the movers and shakers behind the brand, and learn more about how Community Commerce is changing lives for the better! Can't wait until Texture on the Runway to get more Shea in your life? Follow @SheaMoisture today for the latest in hair care and beauty!